You’re listening to music, but then you click a video. Now both things are playing at once, and you have to pause your music manually like it’s the dark ages. There has to be a better way. And there is. 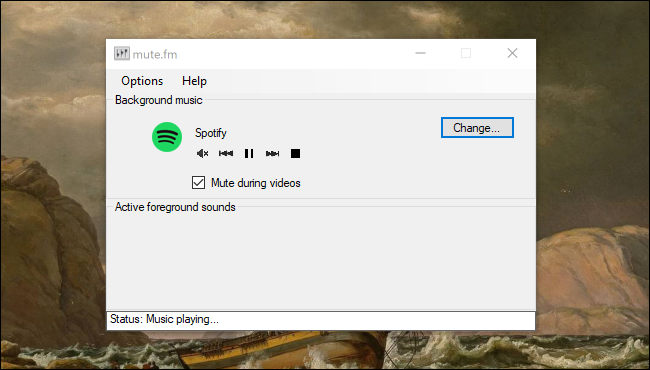 Mute.fm for Windows and Background Music for macOS are two programs capable of pausing your music every time some other application starts making sounds. Open a video and your music will pause, automatically; close the video and your music will come back on. It’s a small thing, sure, but it’s one less thing you have to think about. Here’s how each application works. Head to the mute.fm homepage and download the latest version, which comes as an EXE installer. Once the program is set up, you’ll see the main window. Set which program you’d like to use as your music player, then open a video somewhere else. The status bar at the bottom of the window will let you know what’s happening. 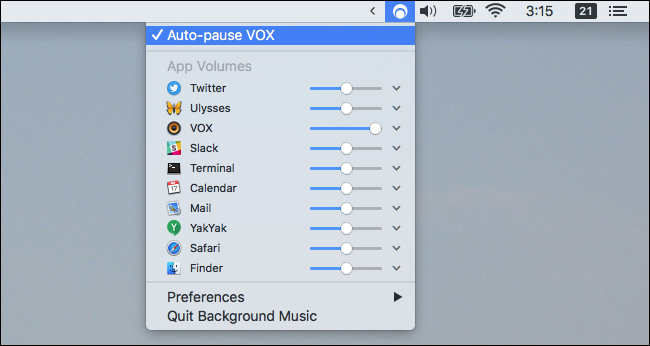 If you don’t want a particular application to pause you music, simply uncheck it. How this exactly works can be a little hard to convey in a screenshot, so here’s a video of the program in action, complete with the 1812 Overture. It’s one of those programs you’ll set up once, then forget about. Minimize the program and it will live in the tray, where you won’t really have to think about it. It just works. There’s no macOS version of mute.fm, but Background Music is the next best thing. This application itself is in alpha, according to the developer, but it worked well for our tests. Having said that, you’ll have to work around Gatekeeper to get it running—hopefully that changes later. Background Music lives in the menu bar, and allows you to set a per-app volume for every application that is running. 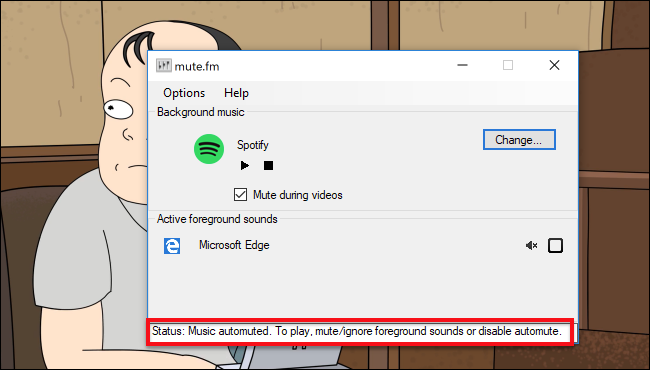 As with mute.fm, you’ll have to set which application you’re using for music—find that under Preferences. Other than that, this is pretty much an application you can set up and then forget about. Enjoy not hitting pause and play anymore!